The annual London Tree and Woodland Awards recognise committed individuals, groups and organisations, and excellent projects that have promoted and enhanced the planting, conservation and management of trees and woodlands in London. The London Tree and Woodland Awards are now in their 11th year and celebrate the work of individuals, communities and professionals to protect, improve and expand the capital’s tree and woodland cover. The #TreeOscars are organised by the Forestry Commission and supported by the Mayor of London and aim to raise the profile of London’s trees and woodlands and their need for active management. Each year, the awards showcase the fantastic work taking place all over the city to protect and increase London’s tree canopy cover. Winners of last year’s awards included local community groups, furniture makers, major regeneration schemes and new urban woodlands. 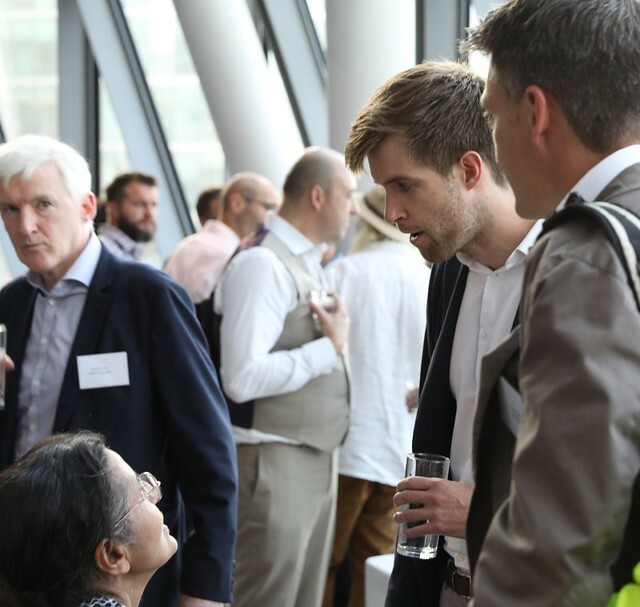 The 2019 awards will be presented at a special ceremony in City Hall, London in July. To enter or nominate an individual, organisation or project for an award, download a nomination form. The deadline for entries is Friday 3rd May 2019. Community Tree Award – an award for tree planting or other tree related projects that have been inspired, driven and delivered by local community groups. Community Woodland Award – an award for woodland planting or management projects that have been inspired, driven and delivered by local community groups. Acord Award – an award for an individual member of the public who has made a particular contribution to promoting or conserving trees. Trees and Development Award – an award which recognises the importance of integrating trees into developments and the variety of roles trees can play. London Borough Tree Award – an award for tree or woodland planting or management project that has been led by a London borough. Trees and Business Award – an award for tree planting or management project led by or with significant business involvement. London Wood Enterprise Award – an award for a wood product made in London of sustainable timber from London’s urban forest. The Tree Council Trees and Learning Award – an award for a project that has engaged and involved children of any age up to 16 years. The London Tree Officers Association Individual Commitment Award – an award for an individual employed professionally within London who has shown consistent dedication and commitment over a prolonged period. Read the more detailed criteria on each category before completing the nomination form. The London Tree and Woodland Awards are sponsored by the Woodland Trust, Bartlett Tree Experts, Coombe Forestry, Acres Wild Woodlands and Clear Channel. The 2018 Awards were held at City Hall on 10 July and presented by Shirley Rodrigues, Deputy Mayor for Environment and Energy. A Special Award for Outstanding Commitment to London’s Urban Forest was given to Peter Wilkinson, who sadly passed away shortly after the Awards Panel agreed he richly deserved special recognition. His family received the award on Peter’s behalf. For more information about the awards, winners from previous years and case studies please see the Forestry Commission London website. London Tree Week 2017 took place between Saturday 27 May and Sunday 4 June 2017, with over 70 events across the capital, including talks, walks, mindfulness, poetry and exhibitions. London Tree Week was hosted by the London Tree Partnership as part of its work to protect and increase the number of trees in London. Help us make London greener, healthier and wilder by joining the city’s biggest ever tree planting push this year. London is one of the greenest cities in the world. Trees and woodlands make London a healthier, more attractive place. A festival to celebrate London becoming a National Park City and make the capital greener, healthier and wilder.